When I started the Black Brides series several months ago, I did so for three main reasons. 1. I used to cringe every time Mrs. Michelle Obama was called Obama's "baby mama." 2. In the classroom, I stress to my students that one of the first things formerly enslaved people did was legalize their marriages after Emancipation. 3. Finally, I love LOVE and I love weddings. My first job in high school was working at a bridal boutique. Love is powerful. It is radical. It is a form of resistance. Black women have chosen to love through slavery, Jim Crow, the Great Depression, countless wars, and even in this present moment when we must remind some that Black Lives Matter. I recognize that love does not require marriage but I wanted to feature those who pursued marriage. All of the marriages I featured did not last. Several of these relationships ended for a variety of reasons but I chose to focus on the fact that two people dared to love one another. I will always be thankful to all of the brides who agreed to be profiled. When the series started, I had no idea that I would feature 100 women. I also had no intention of profiling myself but…SURPRISE…I’m engaged!!!!!!! Please keep us in prayer as we make our way to the altar. Thank you for following the series. The couple reportedly met when the bride starred on Broadway. The groom attended the play and was instantly drawn to his future wife. Upon meeting, the bride said she “didn’t date athletes” to which the groom replied that he “didn’t date actresses. The bride and groom dated for a little over a year before marrying. The bride wore a simple, slim-fitting white gown. The couple took their vows in a private home owned by a friend of the bride. Wedding guests stayed at the house before and after the ceremony. The groom's sister, a minister in Silver Spring, Maryland, officiated the wedding. The bride was an aspiring nurse when she met her groom. The couple met each other at a party. When they ran into each other again at a second gathering, the groom asked the bride to dance. The bride and groom bonded over their love of music. Both of them played several instruments and could sing. The couple married after a six month engagement. 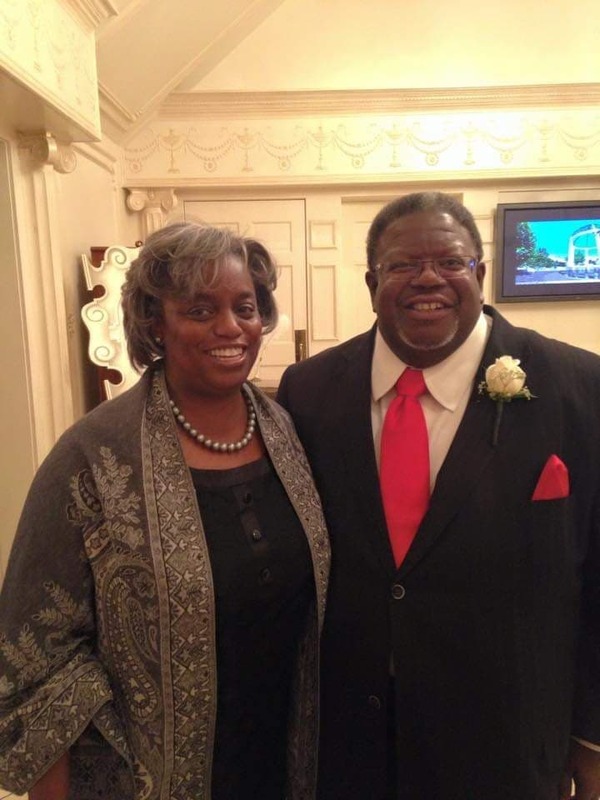 The bride and groom met at a church revival at First Missionary Baptist Church in Clayton. The couple dated for a year. The groom the groom loves to laugh and make others laugh. 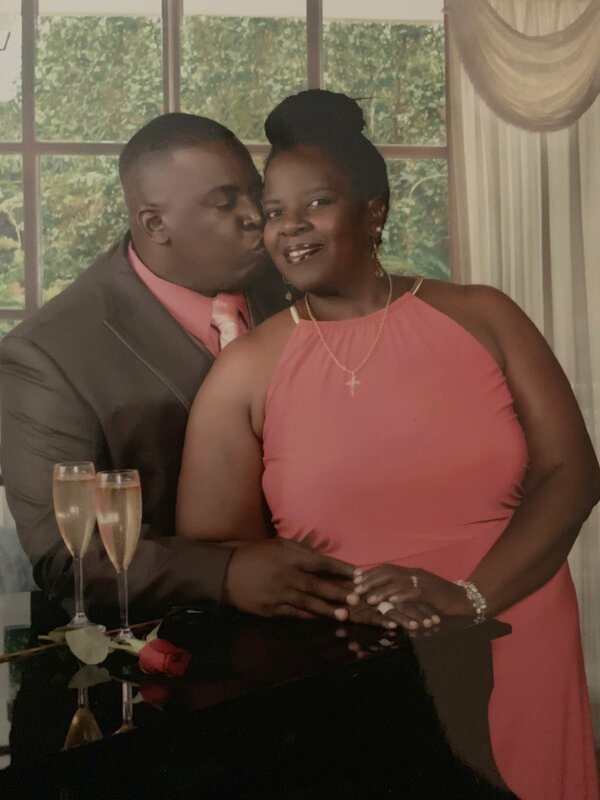 The couple celebrated 25 years of marriage this summer. 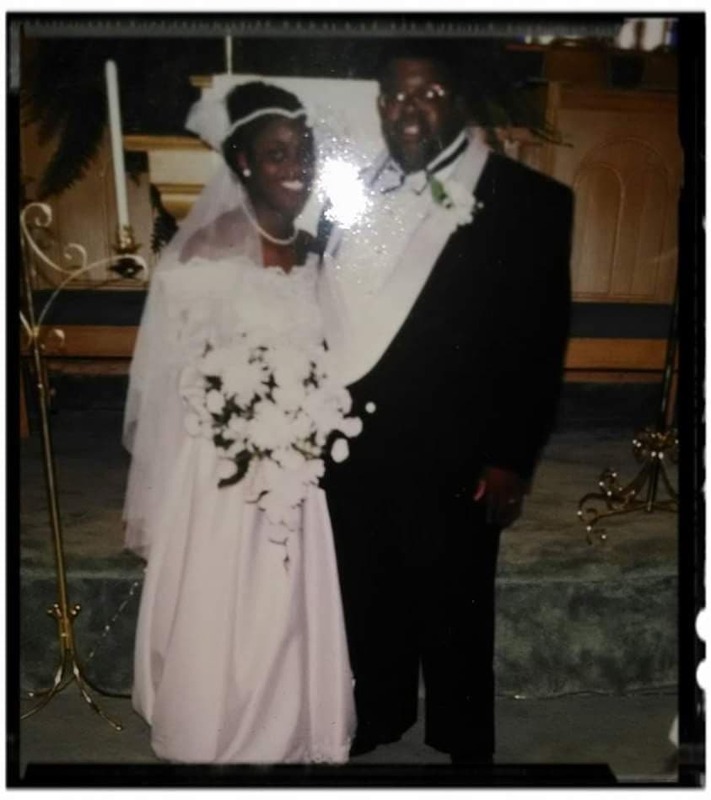 The bride and groom met at the University of North Carolina (UNC) on November 10, 2001 at a Homecoming Stepshow afterparty. The bride and groom were both present at a very small and intimate wedding ceremony for a mutual friend in 2006 on the campus of UNC but neither recall the other person being there. The bride and groom both double-majored while students at UNC, sharing a major of African American Studies. The couple found their wedding photographer (Elizabeth Ashley Co) through LivingSocial. The bride and groom met on a blind date and were introduced by one of the bride's Morehouse brothers. The night they met, the groom's car was broken into, but he played it cool. They both did, actually! How else could they react on a first date? When the bride was studying for the bar exam, the groom would often pick her up after late-night studying from George Washington's campus and cook for her. That meant the world to the bride; he's always been one of the many reasons that has kept the bride going! He still is. The couple got engaged on the evening of Barack Obama's first inauguration in 2009. 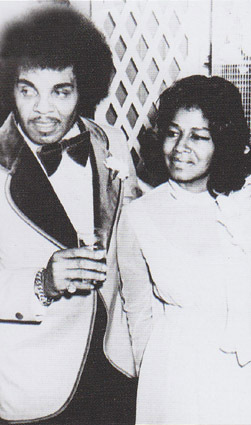 The bride and groom met in a club in Scottsdale, Arizona. The couple dated long-distance for 2 years. The groom's family traveled from Angola for the wedding ceremony. The groom's brother caught the garter and got married the following year. 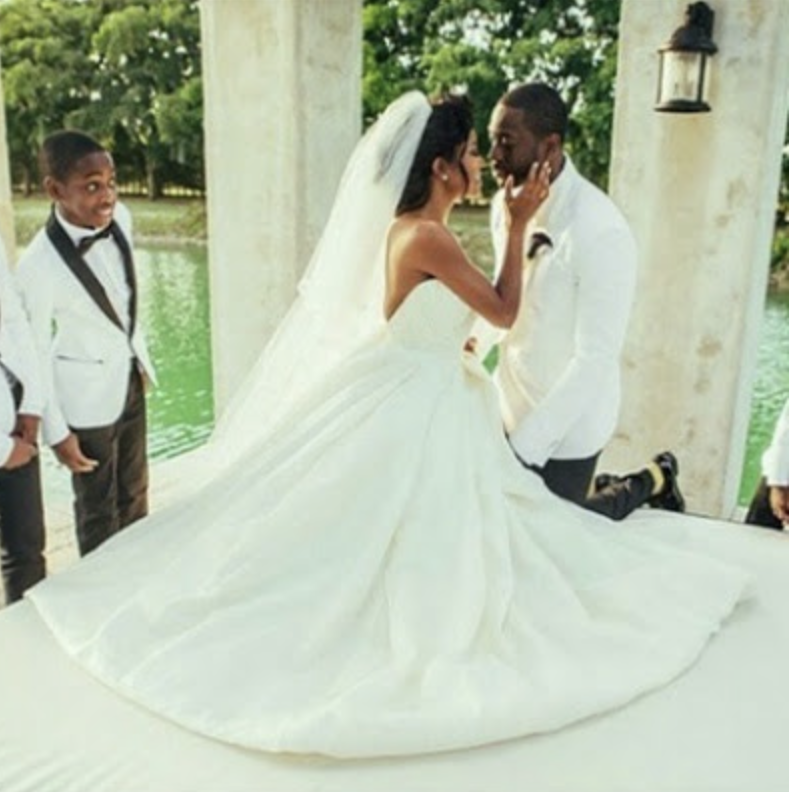 The bride and groom travel to Angola to celebrate his matrimony! The couple met in high school. The groom, a student himself, saw his future bride in class and told the teacher that the student would be his wife one day. The bride thought he was crazy. The groom showed his bride that he was serious by writing her poems during high school. The groom proposed after six months of dating. The bride's father was working in a barn when the groom asked for her hand in marriage. The bride's father responded by saying "you know she is not a drum. When is the wedding?" That was his way of telling his future son-in-law to take care of his daughter. The couple married after 3.5 years of dating. The couple's honeymoon was postponed because of a hurricane headed to Myrtle Beach. The couple loves each other now more than ever before because they both put God first. The bride attended Harvard for both undergrad and law school. 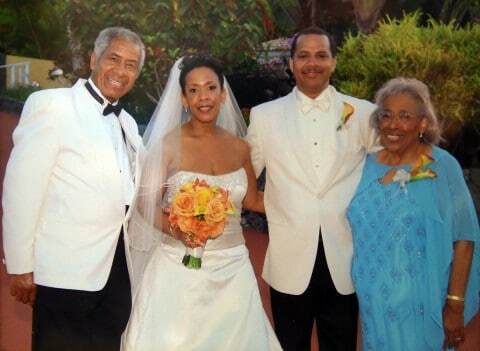 While an undergraduate student, the bride was a charter member of Harvard's chapter of Delta Sigma Theta sorority. The bride and groom met at a mutual friend's event in New York. The couple honeymooned in Bora Bora. 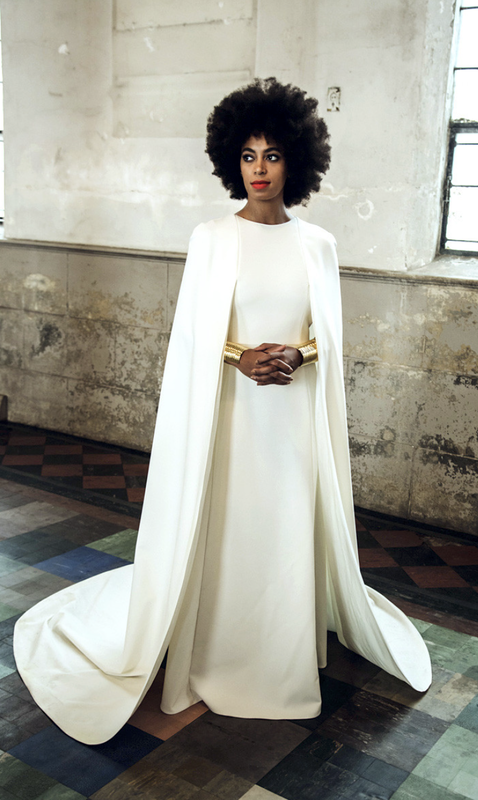 The bride arrived at her wedding venue wearing a wedding-day jumpsuit and cape. She changed into a Humberto Leon for Kenzo dress before walking down the aisle at her winter white-themed wedding. One of the reasons why the bride arrived in pants is because she and her groom rode bikes to their wedding ceremony. The bride walked down the aisle to an instrumental of Donny Hathaway's "I Love the Lord, He Heard My Cry." The entire wedding party wore white. At the reception, the bride and her son had a dance-off to the song "No Flex Zone." The bride and groom met at Penn State University. Both the bride and groom volunteered for the MLK Day of Service at Penn State and were paired together as team leaders. The couple maintained a long-distance relationship for 3 years. The distance made their communication stronger. The bride surprised her groom by reciting her vows in both English and French. The groom's first language was French! The bride wore a custom-made R-mine gown with a purple-dipped train. The couple had a Spanish and bayou-themed wedding. The 400 wedding guests included Tracey Edmonds, Tasha Smith, and Derek Luke. Shanice sang the song "Loving You" during the reception. The bride wore a Dennis Basso wedding gown. The couple decided not to have any groomsmen or bridesmaids. Male wedding guests were given custom bowties from the groom's tie line to wear to the wedding. John Legend sang the song "You and I" during the wedding ceremony. At the reception, the couple entered to the song "All I Do is Win" and Ludacris, who was in attendance, grabbed the mic and performed his verse. The groom proposed to his bride while they were on vacation in the Seychelles. The bride wore a custom-designed Roberto Cavalli Couture gown. The dress featured a cathedral-length train. The eight bridesmaids included La La Anthony and Kelly Rowland. All of the attendants' gowns were custom-made and tailored to each woman's individual style. The bride's son served as the ring bearer. Earth, Wind, and Fire provided the music at the couple's reception. Officiant: Rev. Titus Burruss, Jr. The wedding had a Coming to America theme. There were live lions at the entrance, elaborately dressed women dropping rose petals, drummers, and festive dancers. There was also a vocalist singing “She’s Your Queen to Be” – just like in the movie! The bride's father walked her down the aisle and officiated the wedding. The bride's Rico Chapel wedding gown cost $20,000. 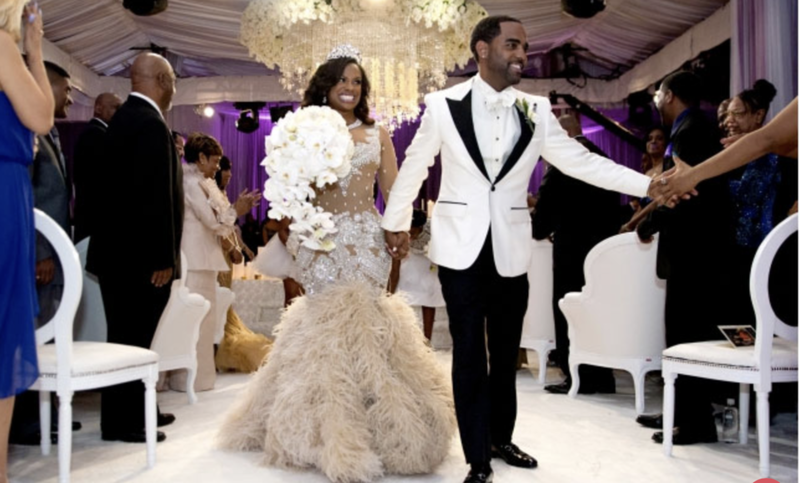 Bridesmaids included Fantasia, Tameka "Tiny" Cottle, and Phaedra Parks.